"Love, HackMaster Style!" 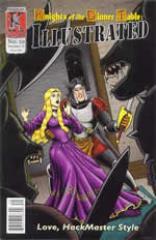 Can El Ravager defend Princess Willow from the dangerous Gnoll assassins? Can Teflon Billy and Thorina make their way from the deadly caves of peril? And will Knuckles ever shut the firk up? Don't miss it!